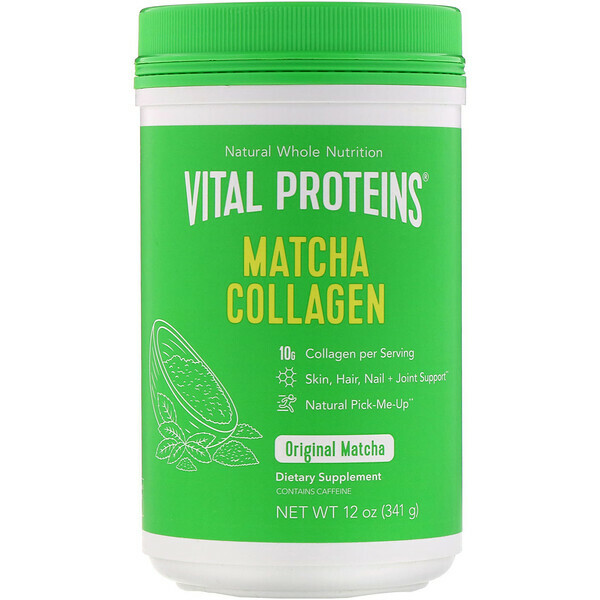 Our Matcha Collagen is a blend of culinary-grade matcha green tea paired with 10 grams of collagen, giving you a clean pick-me-up. 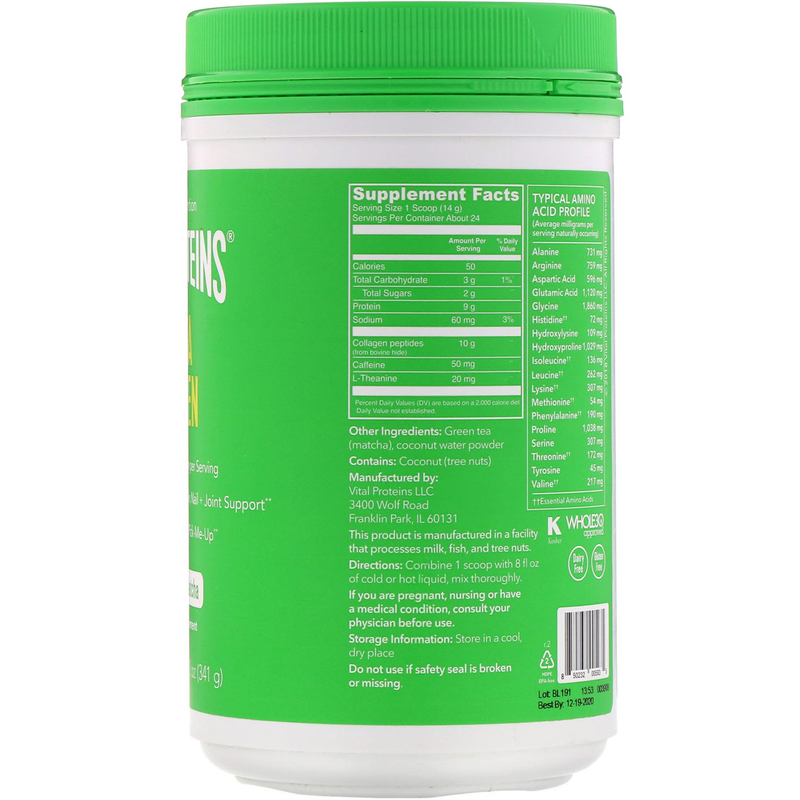 Each cup of Matcha Collagen provides a calm sense of alertness, and promotes a sustained boost throughout the day. Combine 1 scoop with 8 fl oz of cold or hot liquid, mix thoroughly. Green tea (matcha), coconut water powder.